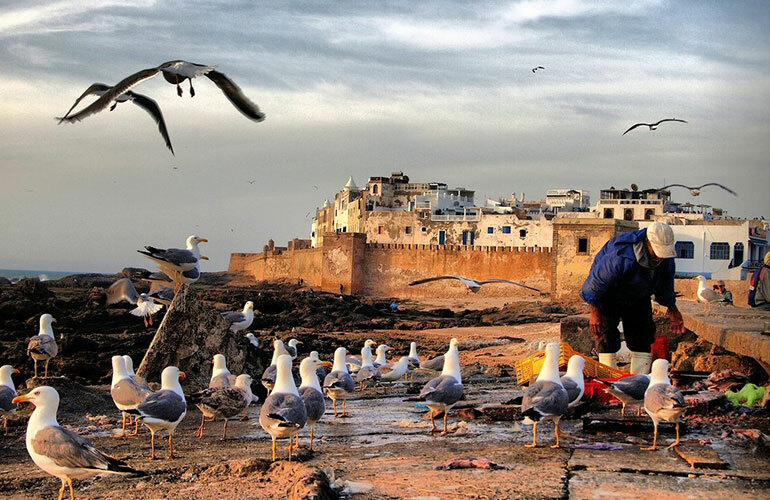 Essaouira day trip from Marrakech - Explore the famous port of Essaouira from 24€. Essaouira day trip from Marrakech is great value for money and it’s definitely one of the more popular tours. Essaouira, formerly known as Mogador, is located just a two-hour drive from Marrakesh. This city is widely considered one of the best anchorages on the Moroccan coast. 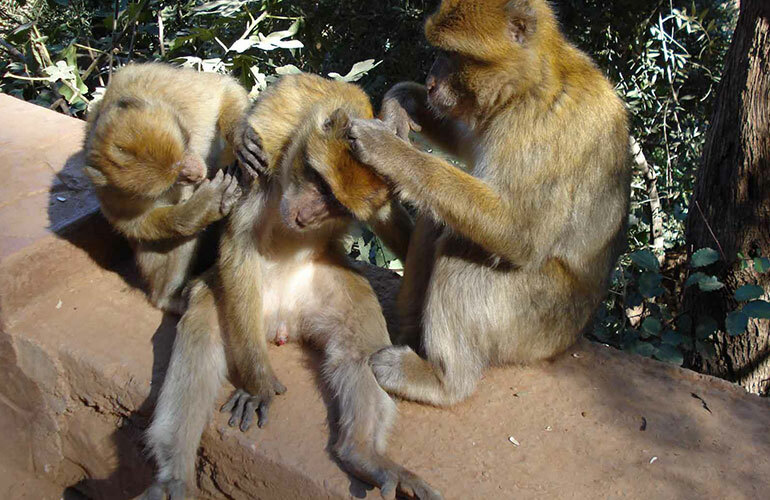 Today, it’s a very popular destination for people wanting to escape the hustle and bustle of Marrakech. 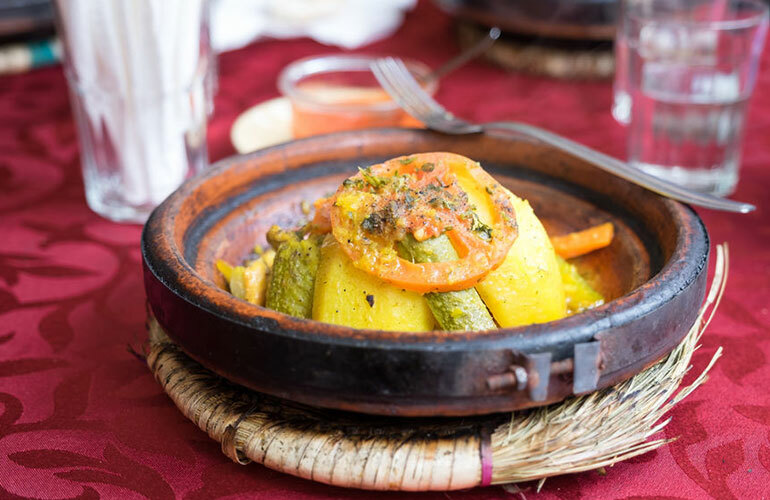 Your Essaouira day trip from Marrakech will begin as we travel from Marrakesh through the lush greenery of the Haouz Planes until we arrive at Chichaoua Village, where we’ll stop to rest and enjoy a welcome cup of coffee. We’ll then continue on to Sidi Mokhtar, crossing the Argan tree forest where we may catch a glimpse of goats climbing the trees. Afterward, we’ll visit the local ladies’ cooperative and watch how they extract the liquid gold, Argon oil, and produce beautiful cosmetic products. 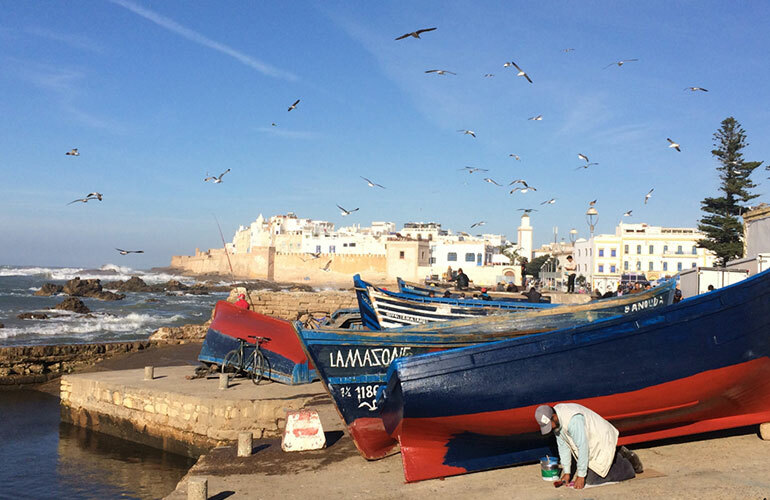 May you like to watch the local fishermen as they return to the port of Essaouira with their bounty. If art galleries are your thing, then you’re in for a treat because you’ll find some amazing art galleries in Essaouira. Bring your camera and take a walk in the Medina of Essaouira. Navigating your way around Essaouira is very easy because alleys are often linear, and because they’re never far from the city wall it’s easy to find your way back to the main square. Concerning a seafood lunch. Try one of the harbor stalls or visit a local Café and enjoy a tasty seafood lunch. What about sun-bathing at the 6km sand beach? 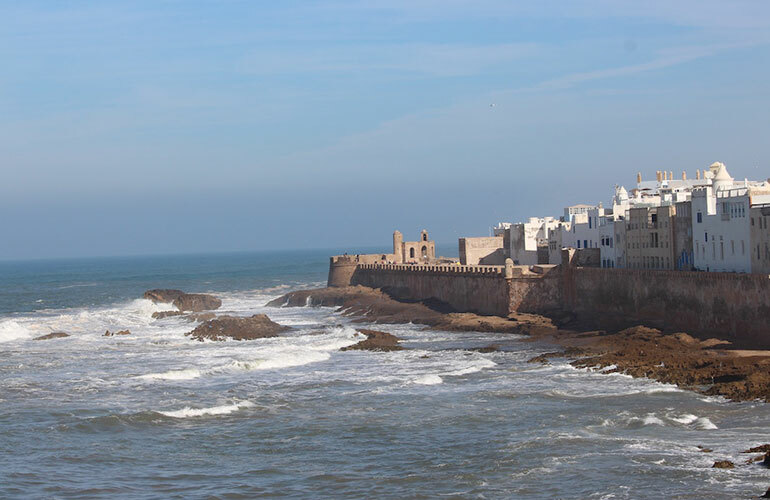 Our customers tell us that the Essaouira day trip from Marrakech is one of their favorites, and many people love their Essaouira experience so much that they return over and over to enjoy this peaceful little town. You will not need a guide to explore Essaouira. Because the locals are so friendly and it’s almost impossible to get lost. The medina is quite small. When compared to other towns in Morocco. However, its streets are very orderly; however, if you prefer to have a guide, your driver will be very happy to assist in locating a local guide to show you around. 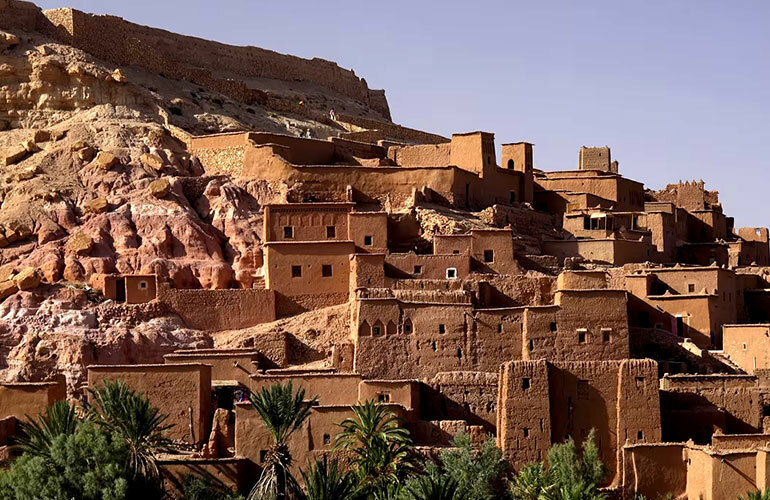 Driving back to Marrakesh later in the afternoon, and your day tour from Marrakech to Essaouira will be over when your driver drops you off at your Marrakesh riad or hotel, or alternatively, at the nearest accessible car point. 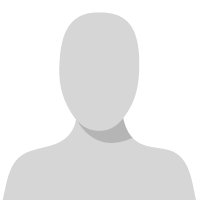 Our English-speaking driver will pick you up from your hotel or riad in Marrakesh. You’ll travel in comfort in our modern air-conditioned minibus, with no more than 6 passengers. 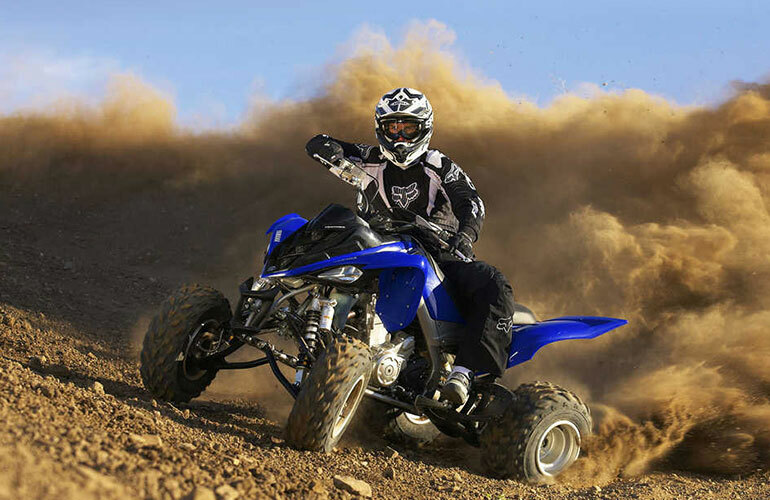 The driver will drop you off at the Marrakesh city center or at your riad or hotel. Optional local guide in Essaouira. Tour departs daily from Marrakesh. We’ll be returned to your accommodation at 6:30 pm. 8 am: Your English-speaking driver will pick you up from your Marrakesh riad or Hotel. 11 am: We’ll arrive at Essaouira.